I absolutely, positively LOVE this time of year. No matter how old I get Christmas just seems to be a magical time. It’s not the getting or the gifts. For me it’s just the time together. I always try to be finished with all of my shopping by Thanksgiving, but I never seem to succeed. I always want to go out Black Friday shopping even if I don’t NEED anything, just to be a part of it all. But beyond those things my main goal is to enjoy the time with my family. To indulge in family traditions. To linger a little longer over meals with loved ones. To just soak up the wonder of it all. I don’t need a lot of “stuff” to make this season magical. I just want to surround myself with the people I love. I also want to figure out what to do with all those candy canes that show up this time of year. So I made candy cane sugar. 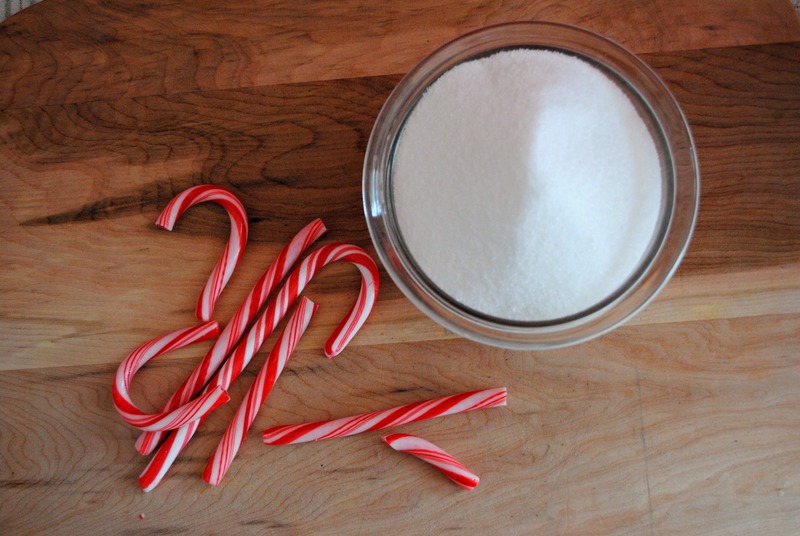 You want to know how to make candy cane sugar? It’s super easy. Oh so good! And makes a cute little gift for very little money. In other words it’s a Win, Win, Win! 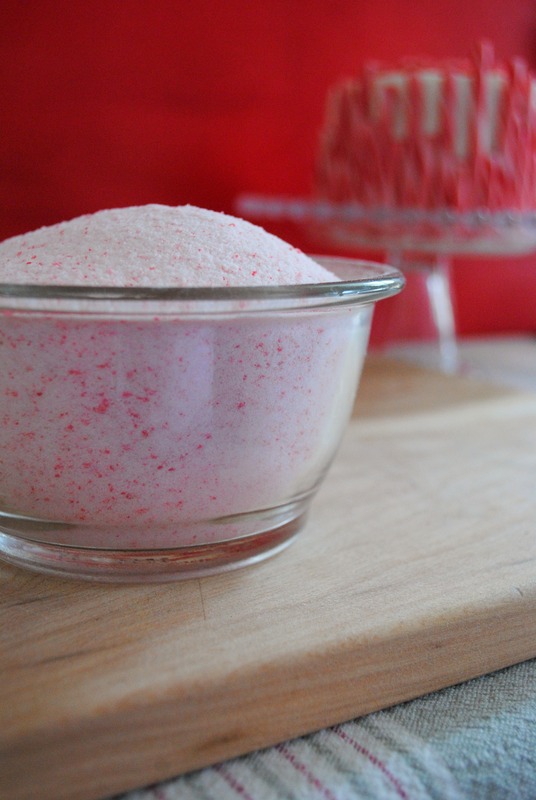 Pour your candy canes and sugar into your food processor. Process until all of the candy cane pieces are incorporated into the sugar and everything seems to be a uniform size. 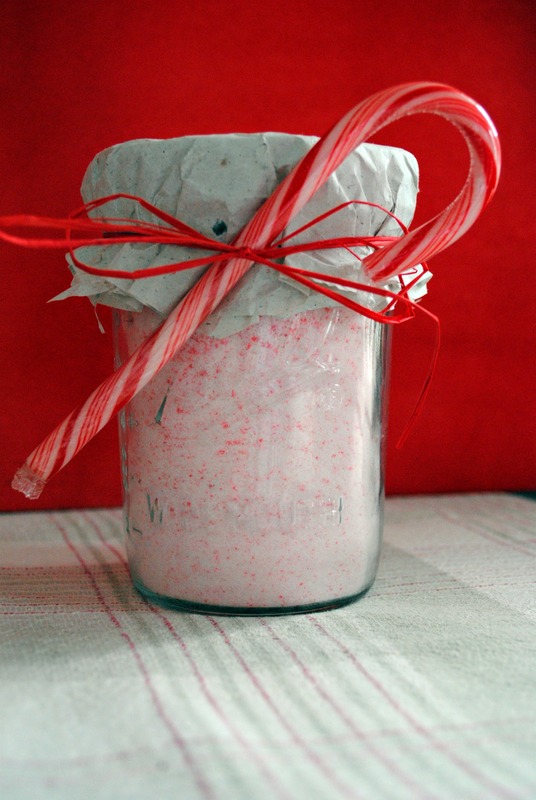 Pour into a cute jar and embellish with ribbon, fabric or another whole candy cane if you are giving this as a gift. It’s great mixed into morning coffee or coco. 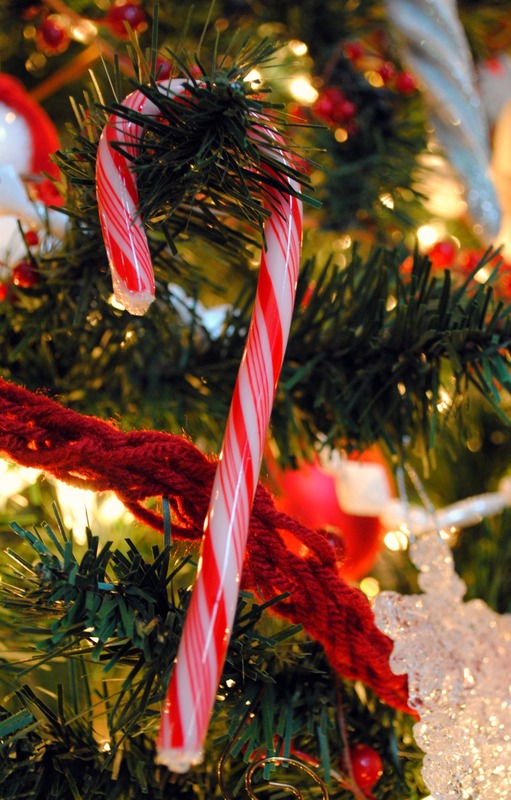 Need another use for all of those candy canes? Use them to embellish your favorite cake with white frosting. 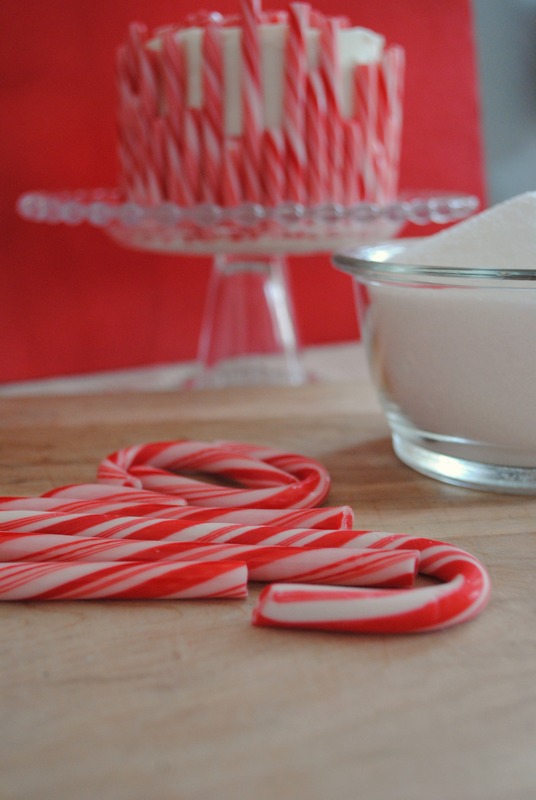 How would you use candy cane sugar?? P.S. I’ll be posting another use for this sugar in a few days.